When you analyze the complexity of a human body, you cannot help yourself but think that it‘s a machine. An almost perfect machine that lets us live, see the world and enjoy our existance without too much thinking. All machines have a motor of some sort. And, for us humans, it‘s our heart. It beats 24/7 without a break, pumps the blood and doesn‘t complain about it. Well, at least most of the time. The truth is a stressful lifestyle that many of us experience nowadays can create heart problems. However, some studies show that essential oils can help you to relax, which in turn results in lower heart rate and blood pressure. That‘s if we are exposed to essential oils for a short amount of time – 1 hour or so. 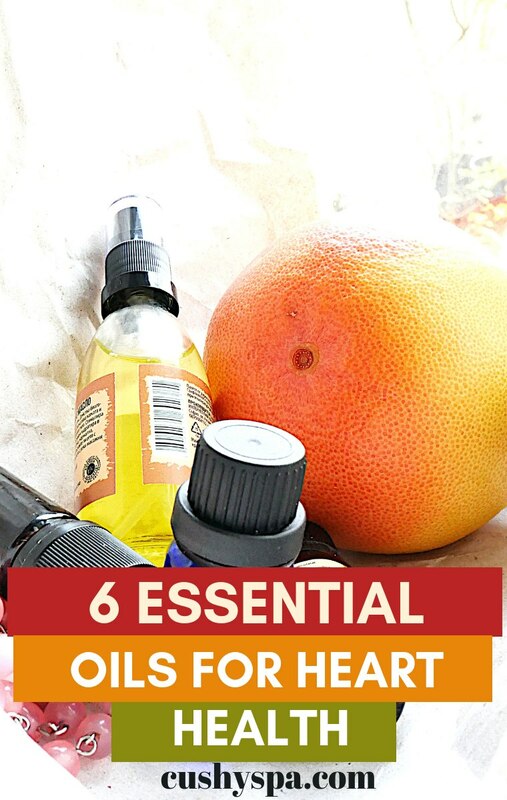 Today I‘d love to share essential oils for heart health that you can incorporate in your day-to-day life. Can Essential Oils Help With Heart Problems? There is quite a bit of research done on essential oils. And while most of it shows only slight short-term improvements in health, it doesn‘t mean that we shouldn‘t use aromatherapy to deal with our health problems. Small health improvement over time can significantly affect your life. Plus, it‘s a much more holistic way to stay intact with your body and treat your health problems. So, all in all, the answer is yes. 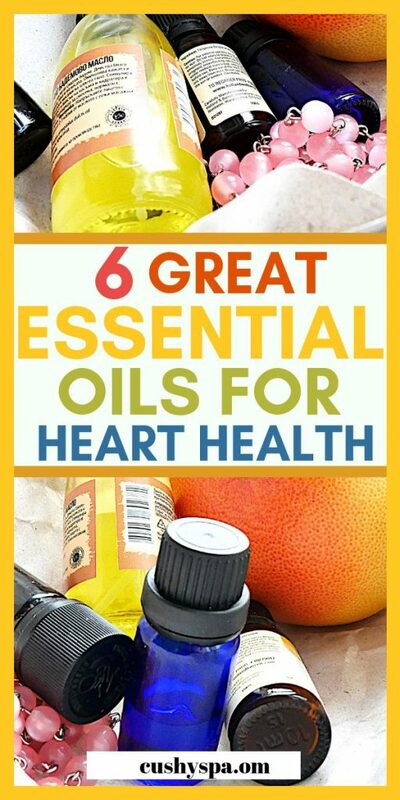 Essential oils can help with your heart problems and even other health issues. I’m going to mention these below. But, if you’re a beginner, here’s a list of essential oils that will introduce you to the most popular ones out there and their benefits. For now, here are the essential oils for chest pain, heart palpitations, high blood pressure, and general heart health. Lavender is a diverse essential oil that you‘re going to see on a lot of lists. It‘s actually an oil that has most research done on it. All of that probably due to its therapeutic, heavenly smell. Which, I won‘t lie, is the big reason why many use it in the first place. A study done in 2012 has shown that lavender essential oil significantly decreases heart rate, blood pressure, and even skin temperature. Thus, if you are under a lot of stress and high blood pressure is becoming a real problem, start diffusing lavender oil. Helichrysum might not be such a well-known herb. That‘s mostly due to the fact that it grows in South Africa, Australia, and Eurasia. Like many oils, helichrysum essential oil can be used for skin since it‘s moisturizing and antibacterial. One study suggests that helichrysum could help with managing blood pressure. Thus, you can try using it for a couple weeks and see how it affects you. Cassia can often be confused with cinnamon. It looks similar to cinnamon and even smells like it. In fact, sometimes you might even buy cassia thinking it‘s cinnamon. However, cinnamon essential oil has a richer aroma. While Cassia oil can be used for indigestion as well as cold or flu, studies show that it can be used to regulate blood sugar levels. The problem with constant high glucose levels in your blood is the fact that it forms a plaque on artery walls. It can lower the amount of oxygenated blood that comes into your heart and cause chest pains as well as heart attacks. Thus, always be one step ahead and use cassia to make sure your blood sugar levels are not too high. Also, don‘t forget to regularly check those up! 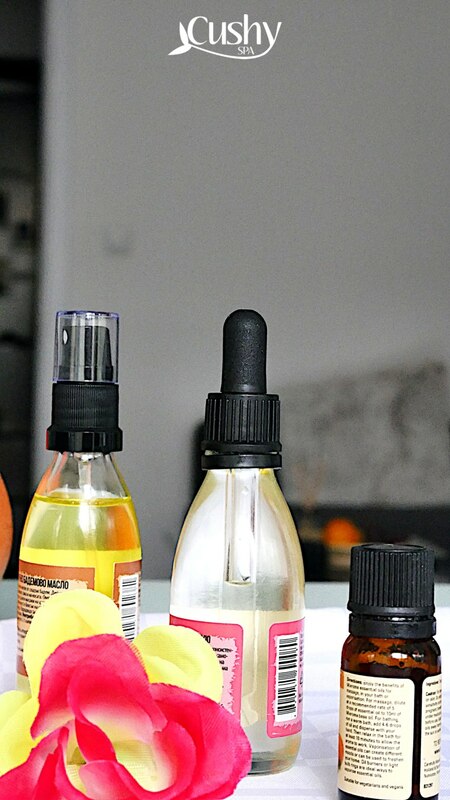 Bergamot essential oil is citrus which means it‘s full of vitamin C, which makes it a great, refreshing oil for skin. However, that‘s not the only way you can use it. A study conducted in Taiwan elementary school showed that bergamot essential oil has the ability to reduce stress levels. The research also showed that teachers who had higher anxiety levels benefited more than the ones with lower stress levels. Anxiety and stress can cause heart palpitations and even chest pains. So, it‘s a good remedy for relaxation and heart health. Clary sage is one of those essential oils for high blood pressure that you should try using. Studies show that it has the ability to reduce blood pressure and helps you to relax. You‘ve probably heard about this oil when it comes to its antidepressant effects. It‘s very powerful when it comes to stress relief. So, you can incorporate it into your life if you often have panic attacks or suffer from anxiety. This review shows that clary sage can improve your memory and alertness. Feeling more energetic and being able to perform well at work can overall benefit your lifestyle and mental health. Rose oil is one of the essential oils for heart palpitations that you may want to try. The oil does truly smell amazing. At the end of the day, it comes from this beautiful flower that millions (if not billions) around the world love. That‘s more of the reasons to like this oil! But also, there‘s been an interesting study done with rose oil foot baths. Pregnant women received 10 minutes of inhalation treatment and the results have been amazing. Ladies that received the treatment had significantly lower anxiety scores than the ones who got a simple foot bath (without any essential oils in it). Thus, if you do experience anxiety which results in heart palpitations, diffuse a little bit of rose essential oil. Essential oils truly offer many ways to improve your wellbeing and happiness. There is nothing better than a nice smelling home or a happy healthy family. If you do suffer from heart problems, make sure you do see a doctor. However, continuously using essential oils can help you in the long run. So, do make sure you use essential oils every day. 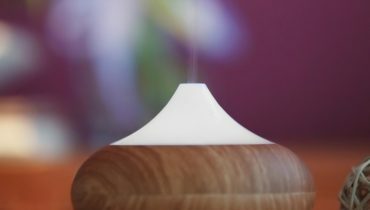 All it takes is a couple minute of breathing in the aroma and letting yourself to calm down. Keep on breathing and let your stress go away. 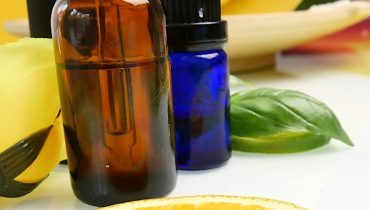 Fragrance Oil vs Essential Oil: What’s the Difference?